LEGAZPI CITY—More tourism sites in Bicol are going to be opened this year through huge allocations provided for the construction of tourist access roads under the 2015 General Appropriation Act (GAA), according to the Department of Tourism regional office here. 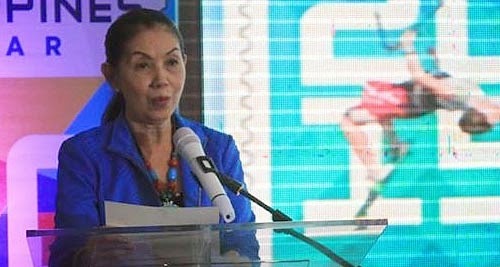 Maria Ong-Ravanila, DOT regional director, on Monday said the opening of the Matnog-Sta. Magdalena-Bulusan coastal road has been approved for Php300 million and initially allotted under this year’s GAA some Php50 million to start with. It will be a more or less 20-kilometer road traversing the ridges along the Pacific Ocean coastline linking the towns of Matnog, Sta. Magdalena and Bulusan -- all towns at the southeastern tip of Sorsogon that are considered as among the eco-tourism wonders of the province. Matnog, through its sprawling roll-on, roll-off ferry terminal, is the jumping board between Bicol and the Visayas and home to the famous Subic Beach that is also called La Playa Rosa owing to its long pinkish sand shoreline kissed by turquoise waters that makes it a perfectly unique destination. Near Subic Beach is Tikling Island that is known for its spectacular rock formations hidden behind its lush forest and colorful corals and sea plants that add a tinge of color to the breathtaking view of the island’s towering cliffs. Sta. Magdalena is famous for its untouched beaches of wide sugary fine grayish to blackish sand whose waters featuring different colorful coral reefs and rich in aqua marine animals are safe for snorkeling and scuba diving. Bulusan plays host to Bulusan Lake at the bosom of Bulusan Volcano Natural Park, a 3,672-hectare protected area serving as home to various species of endangered animals and considered the most exciting ecotourism site in the province. “Hopefully, this project is completed in 2016 along with all the other tourist access road projects now ongoing implementation in the province and in Albay,” Ravanilla said. Another project is the Bacon-Manito-Legazpi City Road whose construction was started by the Department of Public Works and Highways (DPWH) in 2013 for a Php100-million budget. This project is another coastal road that would open an alternative route between Sorsogon City and this city passing through scenic spots between Albay Gulf and the verdant forests of mountain ranges below the 250,000-hectare reservation covered by the Bacon-Manito geothermal energy field atop Mounts Pocdol and Inang Maharang. The road will end at the Legazpi Boulevard, a four-kilometer stretch of wide concrete roadway bordering the long beach of Albay Gulf and serving as an artistic milieu for physical fitness activities that is well-lighted at night, clean, easily accessible, secure and free from air pollution. Other tourist access roads now under construction are the Php769.2-million upgrading of the Pioduran-Donsol-Sta. Cruz Road and the Php700-million concreting of the 24.9-kilometer Guinobatan-Jovellar-Donsol Road whose works were stated last year. Works on the Pioduran-Donsol road involves the improvement to concrete of the 26.5-kilometer stretch starting from Barangay Borboran, Donsol, to the junction of Ligao-Pioduran Road at the poblacion of Pioduran. Works on this project that also involve the construction of two concrete bridges with a total span of 59.10 linear meters have been in progress since 2012. Both road projects that are scheduled to be completed by the middle of 2016 or before the end of President Benigno Aquino III’s term are designed with 6.7 meters pavement width and thickness of 230 millimeters. All these projects that form part of the DPWH-DOT convergence program under the Aquino administration’s 2011-2016 National Tourism Development Plan (NTDP), when completed, would facilitate growth to the local tourism industry, enabling tourists to travel with ease, Ravanilla said. The convergence program is also in support to, among other key tourism development undertakings in Bicol, the Albay-Masbate-Sorsogon (AlMaSor) tourism alliance which was conceptualized as the tourism road map for Bicol designed to achieve development not only in the mainland provinces of Albay and Sorsogon but also in the island of Masbate. The cluster features Albay with this city as the province’s tourism capital, Mt. Mayon and Cagsawa Ruins as among the tourism marvels of the province; Sorsogon offers its butanding interactions in Donsol; while Masbate has its unspoiled world-class beaches. Barely 16 years ago, Donsol that sits 540 kilometers southeast of Manila, was described as a sleepy rural community where weathered vehicles spurred swirling clouds on dusty, unpaved roads. Over the years following its discovery as seasonal sanctuary of whale sharks, it captured international attention with the World Wildlife Fund (WWF)-Philippines spearheading a holistic conservation program which ranges from satellite butanding tagging and photo-identification, to the effective management of tourism impacts. Since then, the national government has been pouring in funds to improve the 29-kilometer main road linking the area to the Maharlika Highway and road networks within the municipality to make it more accessible to land trips. So far, Ravanilla said, the biggest among these road improvement projects are the ongoing Donsol-Pioduran and Donsol-Guinobatan roads that would open new convenient and shorter routes between Albay and Donsol. The road connection between Donsol with Pioduran, she said, would also allow tourists to move around ecotourism sites along the coastline of Ticao Pass and jump through the Pioduran port to Burias, Masbate, a quaint island that offers unexplored ancient landmarks and pristine beaches away from the hassles of urban life.